Let’s look at the various factors that contribute to the fees. According to PetMD.com, “Dog teeth cleaning costs vary across the board and are influenced by a slew of different factors. If you live in a high cost area, such as a large city, you can expect to pay more. A cleaning might only cost a few hundred dollars, but you might end up paying a few thousand dollars if your pet is having oral surgery like an extraction involving a large tooth. One of the biggest factors behind the high costs? Anesthesia and X-rays. “Dental X-rays are really important to assessing periodontal disease and the health of teeth below the gum line. Unfortunately, they require anesthesia,” says Glenn Brigden, DVM at Pacific Coast Veterinary Dentistry and Oral Surgery in Encinitas, Calif., and a Diplomat of the American Veterinary Dental College. And anesthesia tends to be pricey. As you see, anesthesia is an important part of a thorough professional dog dental cleaning. It keeps your dog safe and relatively comfortable and allows us to clean deeply. Of course, if you’re like a many pet owners, you might wonder how you can clean your dog’s teeth in between professional cleaning. There’s brushing your dog’s teeth which we highly recommend. There are also a variety of dental chews on the market. However, be warned, some of them can hurt your dog. One way to fight tartar and plaque build up is to provide your dog with dental approved chews. But you’ll want to be careful. All doggie chews are not safe. Take the deer antler chews for instance, more than one dog has broken a tooth on those and as you can probably guess, a broken tooth is both painful for your dog and expensive to fix. So while dogs love them, they’re not the best chews for your dog’s oral health. In addition to our experiences, we also review the VOHC for recommendations. 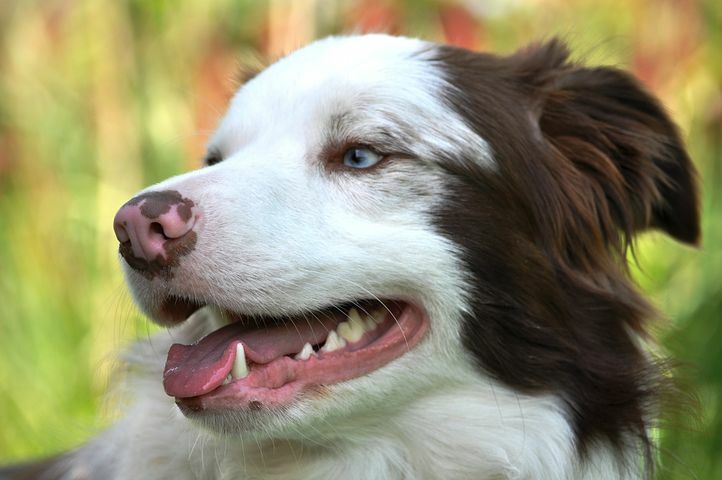 “The Veterinary Oral Health Council (VOHC) is an organization that evaluates pet products to see if they meet standards for reducing plaque or tartar. Approved foods, treats, and chews must reduce plaque or tartar by at least 10% to achieve the VOHC seal of approval. If a chemical anti-plaque agent is used, it needs to reduce plaque or tartar by at least 20%. Go to http://www.vohc.org/accepted_products.htm to see which products have received the VOHC seal of approval.” The VOHC accepted products list is a good place to start. Also, you can discuss the best dental chews for dogs with your veterinarian. We’ll be happy to recommend a good product. How Do Dog Chews Clean Your Dog’s Teeth? As you can see, the pricing of dog dental care depends a lot on the state of your dog’s mouth. If he has advanced gum disease, it may cost more. Broken teeth and extractions will increase the bill. Unfortunately dogs being dogs, they can break their teeth on tree branches, the above mentioned deer antlers and many other things. It’s always good to talk with your veterinarian about preventive care. However, no matter how else you care for your dog’s teeth, he or she still needs regular professional dental care to stay healthy. 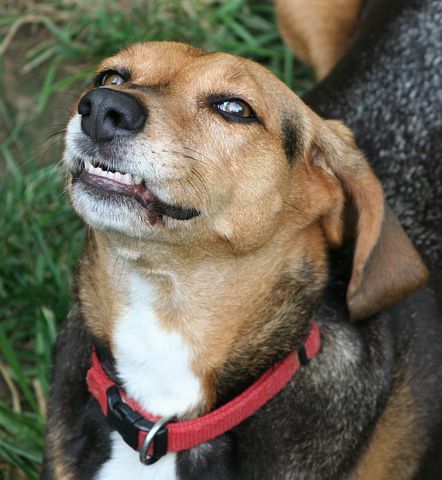 Is it time for your dog to have a dental cleaning? Give us a call to schedule an evaluation.